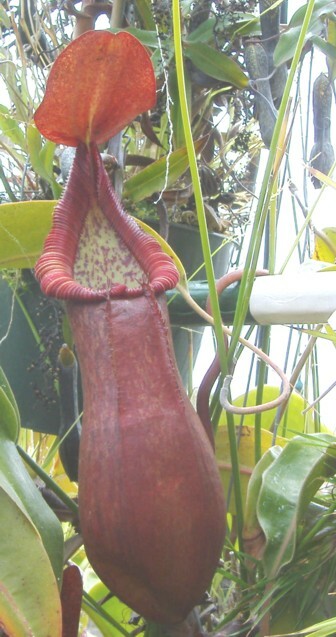 Nepenthes petiolata is a species that was introduced into cultivation by Borneo Exotics back in 2004 or 2005. The first specimens were from seed and then made their way into tissue culture. I grow two clones that originated from seed. My largest plant is producing two different colored pitchers. 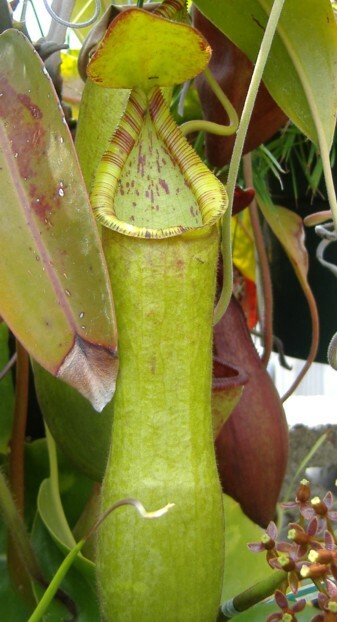 The lower pitchers are red with some striping in the peristome while the uppers are on the green side with minimal to no red coloration. This species is an easy grower for me and produces basals and multiple growth points. It does well in full sun and tolerates my winters easily. I think this is a very nice species that gets overlooked compared to other Nepenthes for some reason. And now that is has been well established into tissue culture, larger plants are available it much lower prices than years back.